Hatco Rapide Cuisine induction is innovative technology that makes cooking a wide variety of dishes fast, easy, and safe. Perfect for bakeries and candy stores, induction can be used for precise melting and gentle holding applications. Watch as chocolate chips are slowly melted and turned into a delicious, creamy spread. Now, while watching as eggs are hard boiled with an easy-to-use program, consider how easy the unit makes multi-step dishes. A set program immediately and seamlessly segues from one phase into another, eliminating the need for the user to constantly monitor and adjust the settings. In this next example, the power is manually changed and the time is set on the timer for custom cooking. After the user adds peas to the dish, they then set the temperature to ensure precise cooking conditions. For dishes that need to be finished quickly for a la cart orders or options, like these shrimp, the induction surface heats up quickly for speedy service. Plus, even when hot, the surface won't bake on the inevitable spill, making clean-up just a matter of wiping off the spilled food. You won't burn yourself, either. Watch this user place their hand on the cooking surface next to a cooking pot. Even the surface directly under the pot is safe to touch! Imagine how this safety could improve the cooking conditions for your operation. Not only is the cooking surface cool to the touch, but it doesn't heat up the kitchen like other cooking units. For maximum speed and performance, this induction technology brings water to a boil with impressive speed and then brings down the temperature enough to eliminate the boil in just seconds! Ideal for any operation, Rapide Cuisine induction delivers perfection every time. You've heard that induction technology is fast, safe, and easy to use, but do you know why? To learn about what makes induction so impressive, watch this video on Hatco Rapide Cuisine products, and consider how your facility could benefit by introducing induction today! 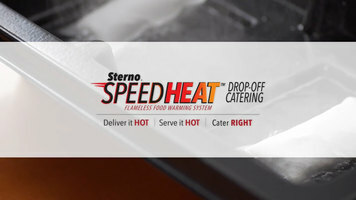 Check out the video for a demonstration of SpeedHeat, Sterno's new revolutionary flameless heat management solution that will help you expand your catering operation anywhere you want or need to go. 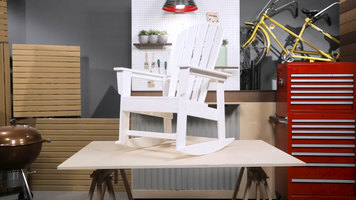 Watch this video to learn how to assemble the SBR16 south beach rocker. Watch this video to learn about the various types of equipment that Hatco has to offer the foodservice industry! From carving stations to holding cabinets to frost tops, this video covers it all.